Credit cards don’t typically fall into the category of pop-culture, nor do they usually garner much attention aside from their basic functionality. During the 1980s, many believed it was a hoax or simply urban legend, but it has since been confirmed by such media empires as the Wall Street Journal and Forbes. However, the question remains whether it was created before or after rumors of such a credit card emerged. 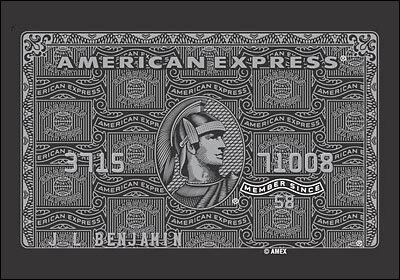 The Black American Express credit card is actually formally referred to as the “Centurion Card”, and is offered by invitation only, usually to celebrities and business tycoons and the like. Or anyone that tends to charge a ton of money on their American Express card. By the way, Centurions were commanders of the Roman Army, hence the picture of one on the front of the Black Card. The Centurion Card is the next level up (way up) from the platinum charge card offered by American Express, and comes with no pre-set spending limit. A lot of credit cards claim that, but the Centurion Card really means it. And it’s made of titanium, unlike the lowly plastic credit cards us schlubs carry around. However, it does come with a hefty $2,500 annual fee, making it the most expensive credit card in the world. It costs $5,000 to enroll in the Centurion Card program – and you apparently need to spend a minimum of $250,000 within 12 consecutive months on an Amex Platinum card to qualify for the program (you also need to have a stellar credit score). Benefits of the Black Card include complimentary upgrades on a variety of transatlantic flights, personal shoppers at high-end boutiques, free night stays at leading hotels worldwide, a personal concierge assigned to your account with a direct phone number and email address, bragging rights, and much more. In reality, bragging rights are probably one of the main reasons most individuals actually want the Amex Black Card to begin with. The perks don’t seem to be that exciting or different than what you’d receive with other high-end credit cards, even the American Express Premier Rewards Gold Card. Although, American Express does have a special concierge reserved only for Centurion members, which makes it easy to snag reservations at world-renowned restaurants and ensure you never miss out on anything you want to do. At the same time, Centurion misses the mark on even basic offerings – for example, the card charges foreign transaction fees. Musicians ranging from Paris Hilton to Kanye West and Jay-Z have also included the famed credit card in their song lyrics, firmly establishing its luxury appeal. The largest purchase ever made with the Centurion credit card was said to be a private jet with a price tag around $30 million, but more common purchases include luxury automobiles, jewelry, and expensive furniture. There are believed to be about 10,000 Centurion credit cardholders worldwide, which begs the question, is an even more exclusive credit card needed? For us regular folk, there’s the Blue line…Check out the Blue Cash Everyday card, a fee-free credit card that offers up to 5% cash back! It’s what I use, and it seems to get the job done. Many of the American Express Blue credit cards come with no no annual fee, so why go for status when you can save money and take advantage of all the great benefits of being an American Express cardmember? Pro tip: There’s also an American Express Business Centurion Card available. Ask your lovely boss to hook you up. 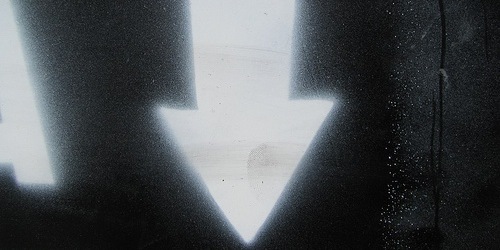 Previous Previous post: Best Gas Rewards Credit Cards – Earn 5-10% Cash Back!